In July last year, a young boy named Mir Bayyan Baloch made headlines internationally after receiving a 3D-printed arm through the courtesy of Xplorer 3D – a Pakistani company providing 3D-printed solutions in diverse domains. The brains behind this venture is Muhammad Tayyab Alam. Though he is a college dropout, he is a man with a true vision. Tayyab never had proper schooling and spent the better part of his childhood in a Madrassa memorizing the Holy Quran. When he finally joined school as a 13-year-old, Tayyab found himself struggling to socialize with his peers. But in class he tried to understand everything and put it to use for a bigger impact. Technology deeply interested him and in 2007 he launched his first venture which was an online IT store. From that point on there was no looking back. 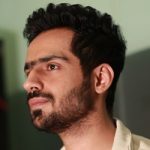 His first venture was followed by a gadget company in 2009, a software solutions company in 2010, before he finally grabbed the idea for Xplorer 3D. Taking a loan of PKR 70,000 from his father, Tayyab started Xplorer 3D in 2013 when 3D-printed technology was not very popular in Pakistan. Tayyab had a vision to introduce 3D-printed solutions in a wide array of fields. Despite a few hiccups along the way and the government’s reservations over 3D-printing, Xplorer 3D has entered into numerous fields in a short span of time. They have established Pakistan’s first and largest additive manufacturing facility for 3D-printing and rapid prototyping at NED University. In addition, their specialization in prosthetic limbs is enabling physically handicapped people. Xplorer 3D is also revolutionizing the way our private companies and defense institutions manufacture their products by introducing the concept of 3D prototyping. This makes the manufacturing process both time and cost efficient. Most interestingly, they are involved in Pakistan’s first sci-fi movie ‘Ghazi’, where they are providing 3D-printed props. They have also introduced the concept of 3D scanning and its integration in CGI, making it the first-of-its-kind instance in Pakistan. Other than providing solutions, Xplorer 3D is directly involved in the education sector. Tayyab plans to introduce 3D prototyping to university students who lack the resources to bring their projects to life. For now, he has equipped and trained students at NUST, GIKI, and National Textile University, Society for International Students, and iEarn Pakistan among various others. 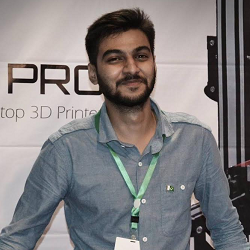 As Pakistan gears up for a 3D-printed technology revolution, Muhmmad Tayyab Alam is well-prepared to be right at its helm.